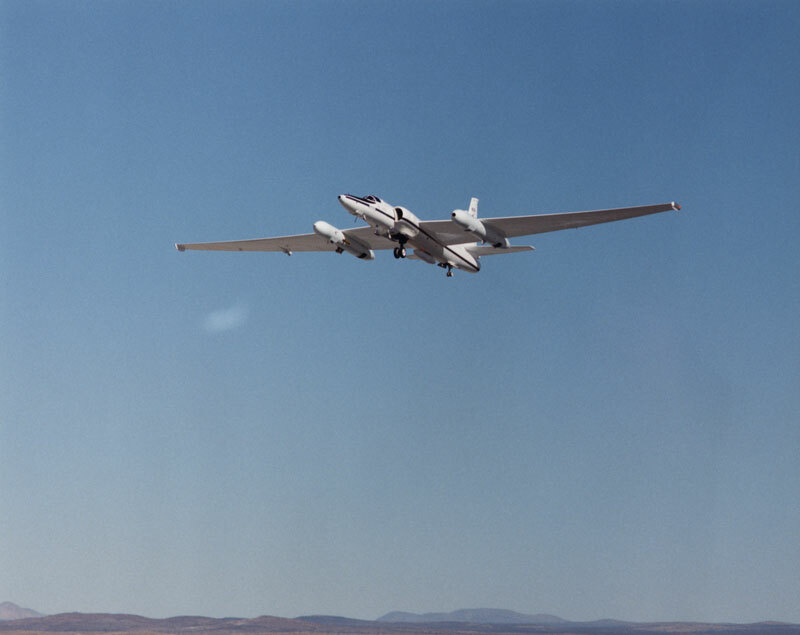 NASA acquired its first ER-2 aircraft in 1981 and its second in 1989, replacing two Lockheed U-2 aircraft that had been used for scientific data collection since 1971. 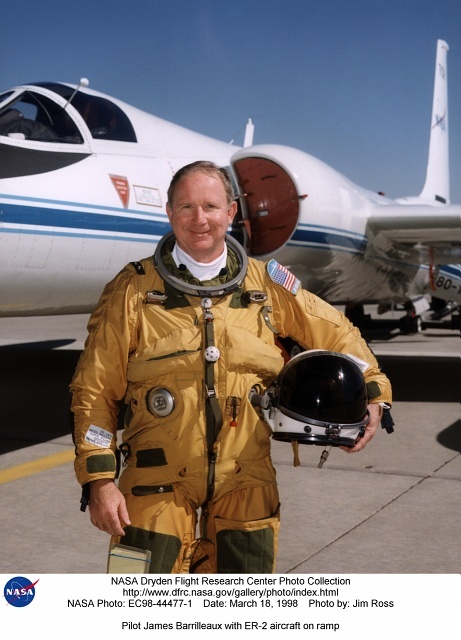 The ER-2 differs from the U.S. Air Force U-2 in the lack of defensive systems, absence of classified electronics, completely different electrical wiring to support NASA sensors, and a different paint scheme. 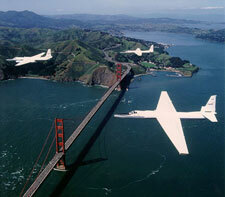 It also is 30% larger, has 20 ft greater wingspan, and supports a considerably larger payload than the older airframe. 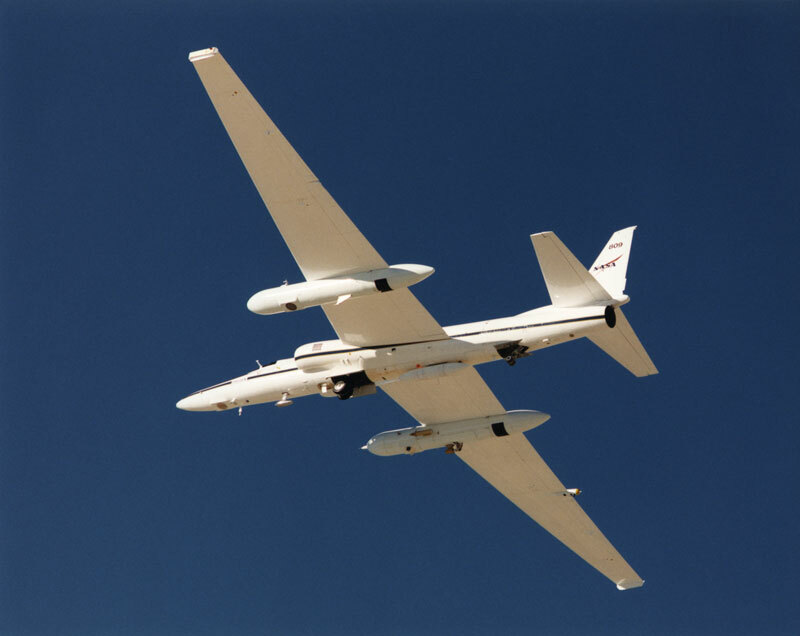 To date, NASA U-2 and ER-2 aircraft have flown more than 4,000 data missions and test flights in support of scientific research. The ER-2 is a single engine, singly piloted aircraft that operates at altitudes between 6,000 and 21,200 m (20,000 to 70,000 ft). The aircraft can reach a cruise altitude of 20,000 m (65,000 feet) within 20 minutes of takeoff. Maximum payload is 1,180 kg (2,600 lbs) distributed in the equipment bay, nose area and wing pods. The range for an 8 hr mission is 5,500 km (3,440 miles) at a typical cruise speed of 750 kph (470 mph).